Natalia is the daughter of one of the most powerful drug lords in Mexico. When her mother is killed by someone the family trusted, she's sent off to live in the relative safety of California. "I had run away from all this, but the devil still tempted that stupid little girl. She knew better than most what could come of that." 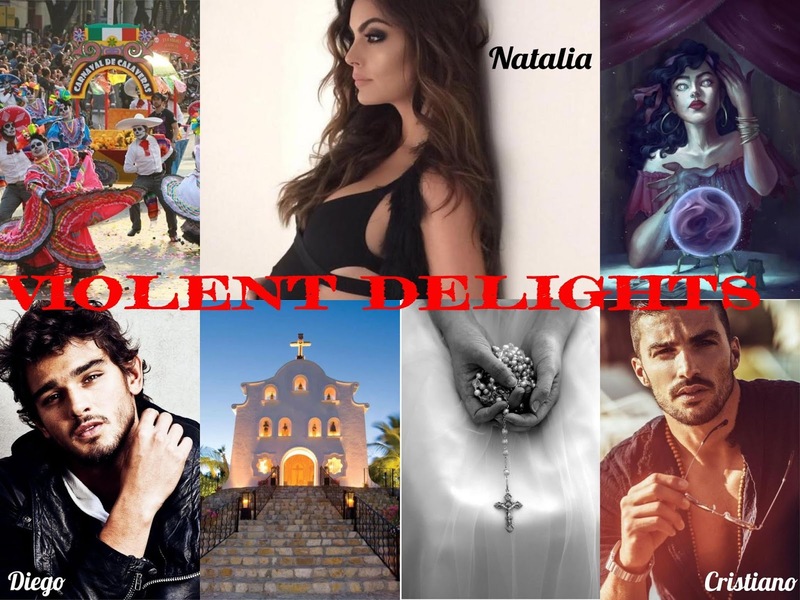 Natalia has successfully extracted herself from her father's violent business dealings but soon finds herself at the center of a brother war for retribution when she goes home to visit her father for Easter----a war between Cristiano and Diego de la Rosa. "Once a man gets a taste of power, his need for it surpasses hunger. It's a sickness that demands more." VIOLENT DELIGHTS is told from Natalia's POV with the exception of two chapters---one for each brother. I usually hate love triangles, but something about this one hooked me from the very beginning. Which brother is the real monster? Which brother should she fear? It's impossible to know. "You're looking for a monster, and you found one in me. But I'm not the one you should fear. Just remember--no monster thinks of himself that way. He's just living by a different code than yours." I only know I CANNOT WAIT to read the rest of this series to find out!